Well hey there! It’s been a little while since I’ve given an update over here, and even though that’s the case, there’s not a huge amount to report. My knitting progress has been a little slower over the past couple of months as I’ve focused on one project at a time and allowed myself to prioritise other things over my knits. 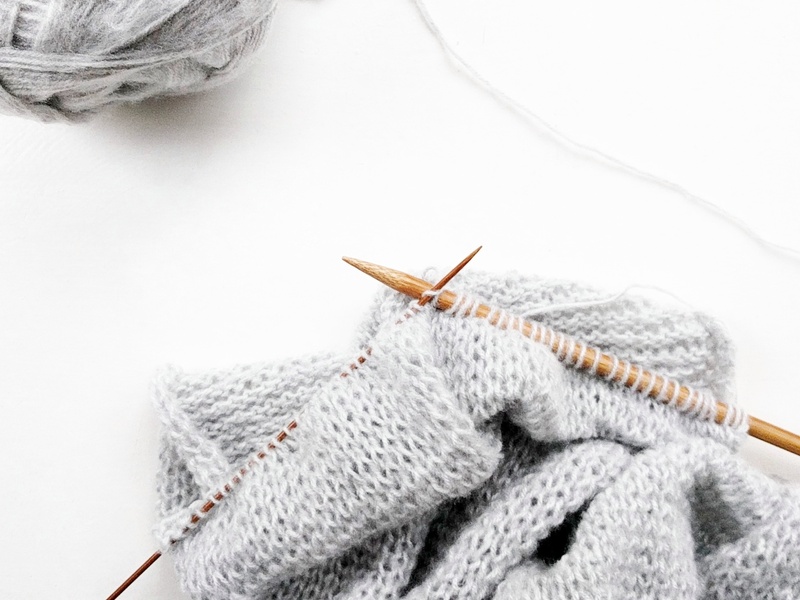 I struggled for a while with how to balance my love of knitting with my desire for minimalism, but I quickly realised that it’s all about quality not quantity, and the joy and love of it, not the frequency of output. There are still many projects that I’d like to create, so I’m encouraging myself to take the time to enjoy the process, and value the time spent, instead of rushing for the end result. So, since my last update way back at the start of August, I have been able to make some progress! I’ve re-knit that Debbie Bliss Cotton Denim DK after frogging my first two projects, and the result is 100% better. It’s another improv design, which I guess was a bit of a risk after the first two didn’t last very long, but I wanted to give myself the freedom to experiment, and I’m glad I did! 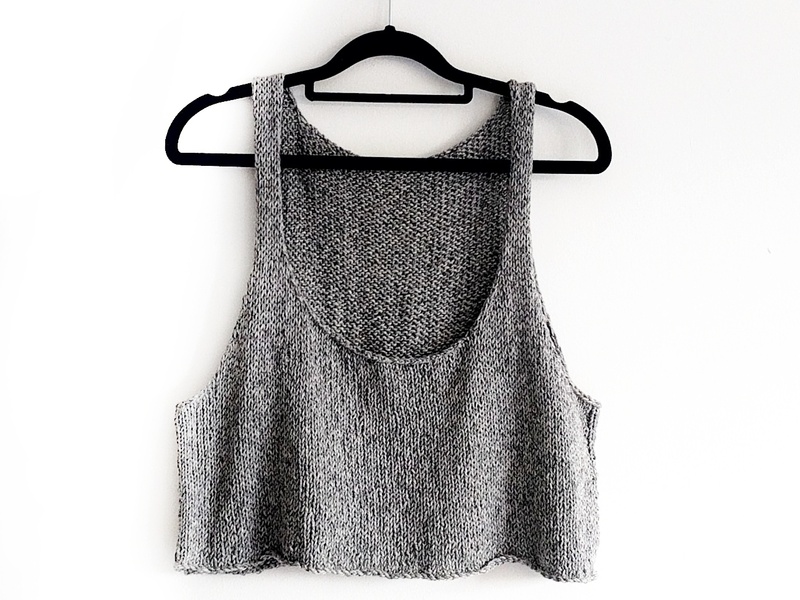 I worked in the round to create a loose-fitting, swing style cropped vest which saw me through the last days of summer, though, sadly, may now have to be retired until the warmer weather returns next year! I need to check in my stash, but I’m crossing my fingers that I’ll have enough of the cotton yarn left over to make one of Merel at Chain Twenty‘s San Agústin facecloths. Here’s hoping! I’ve only got one project on the needles at the moment, and that’s a cropped batwing jumper from a vintage pattern I’ve had for years. There’s a lovely story around this jumper, but I think I’ll save that for another day, so watch this space! I’ve split for the neck, and have worked most of the back so hope to be re-attaching the yarn to start on the front very soon. It’s a unique pattern, and I’m knitting it out of an unknown yarn so I’m very excited to see how it turns out! Given that I’ve just got the jumper on my needles, it can only mean one thing – my dream blanket is complete! This project was seriously a labour of love. It takes a long time to knit 20 balls of chunky yarn on 7mm needles, but every single second was well-spent for this outcome. I couldn’t be more in love, and it’s everything I hoped it would be and more! It’s huge! Sam and I can sit snuggled under it together with a whole lot of room to spare, and I just know that we’re going to use it constantly all winter. I cannot say enough good things about this blanket! I honestly think it’s the best thing I’ve ever knit. And it gets even better! I’ve been working hard and I’m excited to announce that I’ll be releasing the knitting pattern for my Dream Blanket on 4th October! So many people on my Instagram were asking about the pattern, so I had to write it up! I’ve also included step-by-step instructions for the i-cord cast on and bind off, which I think are the details that make the blanket extra special. 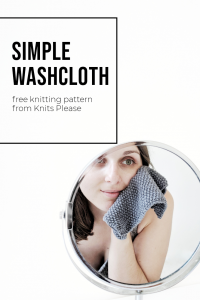 Keep you eyes peeled on my Instagram @knitspleaseuk on the 4th for all of the details! 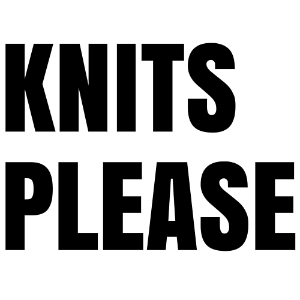 Looking forward and I’m not going to put too much pressure on myself for future knits. I’d love to finish my vintage jumper, and work up a San Agústin facecloth, but other than that I’ll just go where the mood takes me. I’m envisaging chunky socks for the winter, and maybe I’ll get the yarn for that cardigan I can’t stop thinking about, but really, who knows! I’ll just make sure I enjoy every minute of it, whatever I do. What have you been working on lately? Any FOs you’d like to share? I’d love to know what you’ve been up to!